State-issued documents must comply with the apostille requirements of the Hague Convention but must not necessarily be signed by someone at the United States Department of State. Instead, each state is free to set its own convention-compliant rules and procedures for receiving an apostille. It is important that businesses seek the advice of an experienced Silicon Valley business attorney that can assist the business in assembling the documentation and information for the apostille. Signature of the representative of issuing authority. Apostilles are required in order to use certain documentation in a foreign country; it is required for use in a country that is a signatory to the Hague Convention. 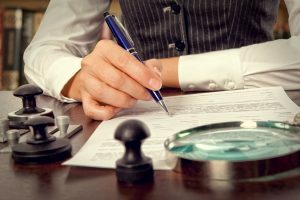 In order to ensure that your business documentation is properly authenticated, you should seek the legal advice and counsel of a skilled business attorney. Our team of business attorneys at Structure Law Group will work closely with your business to meet all of your authenticating needs. Schedule your consultation with one of our experienced business lawyers by calling our office at 408-441-7500.